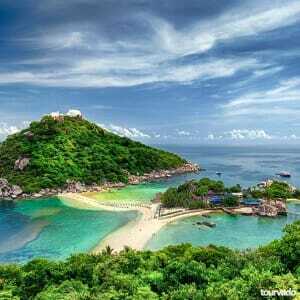 About 08.00 am We begin this tour by speedboat with transfer from Your Hotel to the Pier, to start the tour to Koh Tao. At 08:30 am all guests will check in for the tour and receive snorkelling equipment enjoying as well as a nice light breakfast. 09.00 am from Maenam pier we start the speedboat trip to arrive at Koh Nangyuan, to enjoy marvelous snorkeling adventure as the speedboat heads to reach one of the most beautiful bays in Koh Tao. Reaching Koh Nung yuan in the morning is particularly important, as we attempt to avoid other crowds of visitors. At 12:00 we will arrive back at Koh Nangyuan from your Koh Tao snorkelling great moments, to enjoy a delicious buffet lunch. From 13:00 pm You will have the rest of the afternoon to dedicate to enjoy Nangyuan beach and sorroundings relaxing and sunbathing, you will be able to practice snorkelling, swimming, you can hike walking up to the viewpoint. About 14:30 pm with the speedboat we depart from Koh Nangyuan to arrive back at at Koh Phangan. and to organize from 16.00 pm the transfer you back to your hotel. 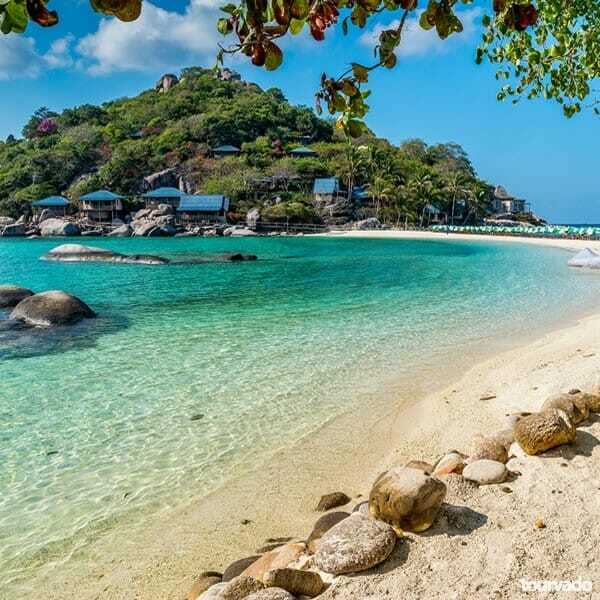 Koh Tao and Koh Nangyuan! Are amazing Islands with dazzling, vibrant corals and shimmering unique marine life. They are regarded as the best snorkeling spots in the country. 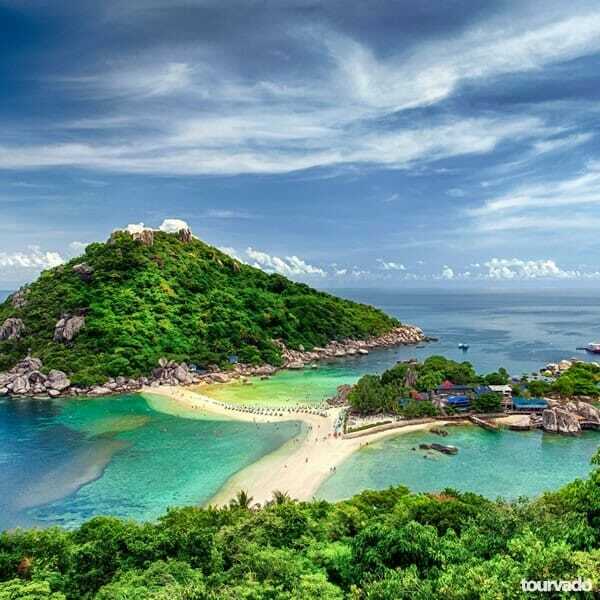 Koh Tao and Koh Nangyuang tour are usually by speed boats from Koh Phangan and you have the opportunity to see the extraordinary amounts of tropical fish that these sites have to offer. For most tourists, this tour is something not to be missed because of the numerous highlights it has to offer. You can spend your day swimming, snorkeling, and relaxing. On this tour, you will also enjoy lunch at a local restaurant on the beach possibility of seeing turtles, black tip reef sharks, blue spotted stingrays and barracuda! The usual routine consists of snorkeling at reefs such as Mango Bay which are popular with scuba diving. Koh Nangyuan is surrounded by fluorescent blue waters and decorated with white sand beaches making it ideal for snorkeling and relaxing. You can also trek to the view point, to catch an amazing sight of what the water has to over and watch the sunset via a 50m staircase trek. Koh tao is known for it is inexpensive scuba diving certification. It is a paradise for divers and snorkelers as well and game fishermen. 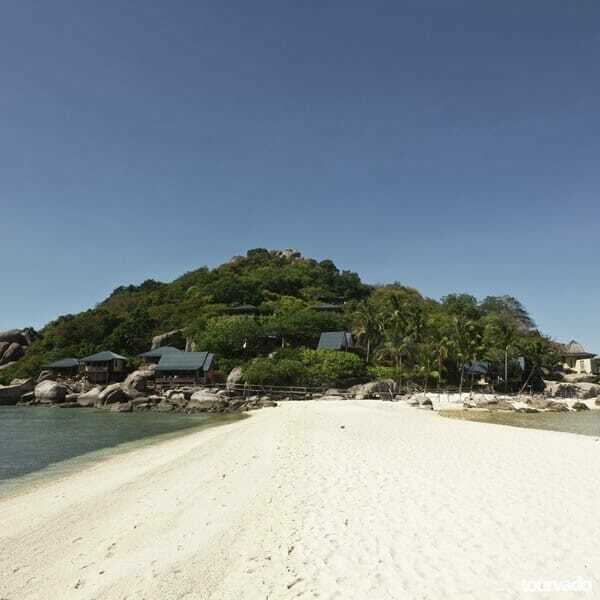 Koh Nang Yuan requests that you bring no plastic onto the island. Everything on Nang Yuan is served in reusable glass bottles. This help to keep the water and natural environment safe. Things you need to take along with you on this tour include your snorkeling mask, sun glasses, sun block and your swim suit. 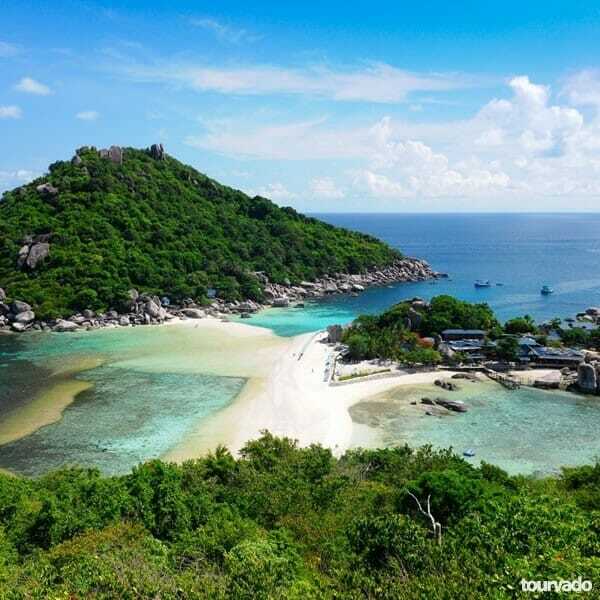 With outstanding snorkeling, glorious scenery and professional guide service, this trip ensures your visit to Koh Tao and Koh Nangyuan will be unforgettable. 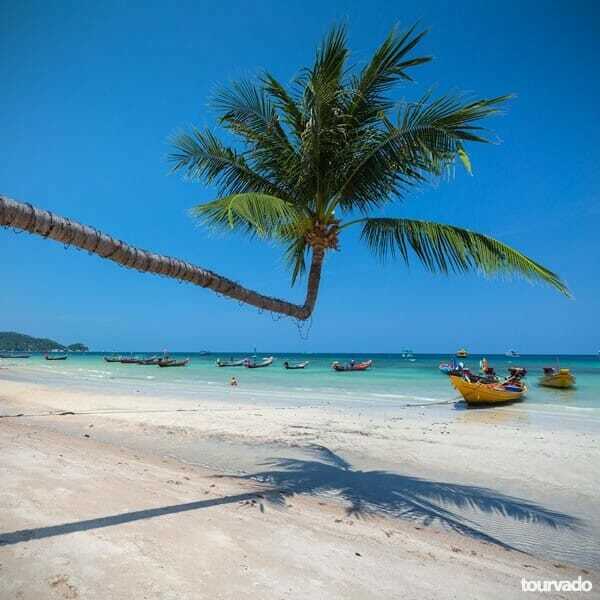 Return transfers are included in your Koh Phangan Hotel.